It is important to have your home and/or business’ carpets and area rugs thoroughly cleaned at least twice per year. Clean carpets not only improve the overall look of your home and office, but it ensures a healthy living environment for you, your family, pets and employees. With over 35 years of carpet cleaning experience, Carpet Concepts will take care of all aspects of the process from inspection to pretreatment and the actual cleaning. Your carpets will look, feel and smell brand-new after our professional carpet cleaning service. Carpet Concepts offers carpet cleaning in Delaware County, Montgomery County, the Main Line and Chester County, PA.
Our carpet cleaning process entails 4 phases: inspection, pre-treatment of soiled areas, soil extraction & rise, and finally post-cleaning inspection. During the inspection, we are looking for noticeable spots which can include food, gravy, coffee, wine, pet stains and more. For your convenience, we also move all furniture before and after the carpet cleaning so you do not have to lift a finger! We’ll take careful notice of stained areas to ensure they are properly treated and removed. 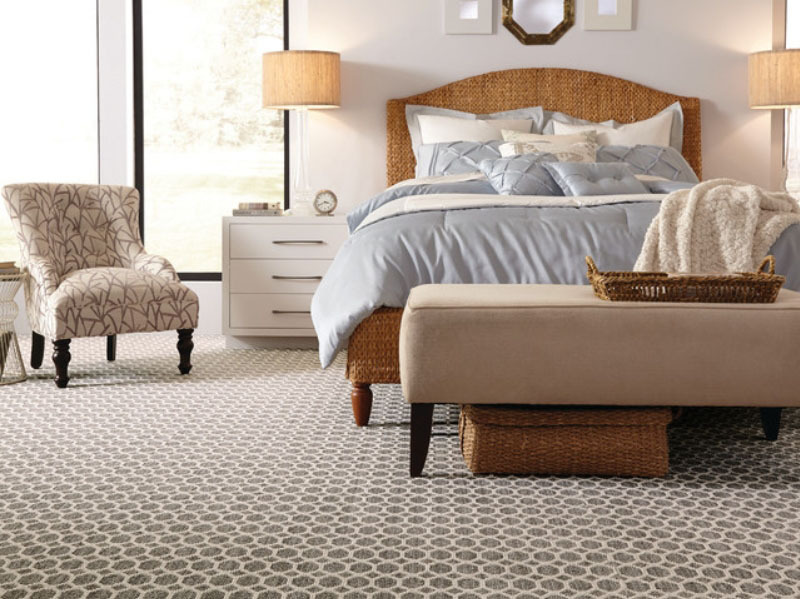 During the pretreatment phase, those specific areas and others are treated with carefully curated cleaning solutions that penetrate deep into carpet fibers to loosen and remove tough stains and return the carpet to original form. Once the solution has sat for a duration of time, we’ll start the full carpet cleaning process. Carpet Concepts uses the latest, innovative truck-mounted, steam extraction process to ensure the deepest clean. Best of all, we do not track any equipment into your home! Besides full home or office carpet cleaning, Carpet Concepts also offers area run cleaning services. We’ll start with a full pre-cleaning inspection and dry soil removal, this allows us to find stains and remove surface dirt. Next, we’ll full pretreat the carpet by doing the following: preconditioning, pre-spot preparation and fringe prep. Both preconditioning and pre-spot allows us to target heavy stains, soiling and odors for better cleaning results. Fringe preparation conditions the carpets’ fringes and ensures they remain intact. Finally, after all of the above steps we will do a complete area rug shampoo, rinse and wash with a final grooming and post-inspection to ensure no stains were left behind. After the area run cleaning is done, the carpet will be left in a damp-dry state and takes about 4 hours to dry. You will be able to walk on the rug during the drying process if needed. Carpet Concepts provides thorough carpet cleaning and area rug cleaning services in the Main Line area of Pennsylvania. Call 610-687-3924 to schedule your carpet cleaning service today! We also offer tile and upholstery cleaning, as well as carpet stretching, repair and new sales.